In North America, we often associate timber framing with traditional barn architecture. Since these rustic structures serve as an excellent example of striking architecture and use of space, why shouldn’t we incorporate that into a home style? 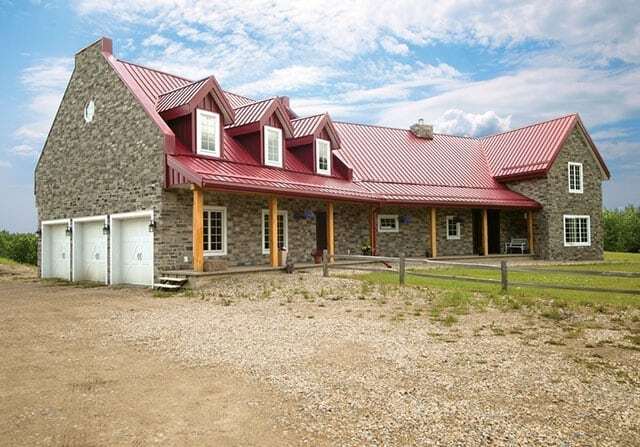 At Riverbend Timber Framing, we are a leader in using traditional techniques and architectural styling to create striking timber frame homes reminiscent of barns. Learn more about our timber frame barn homes and how you can build one of your very own. Whether you live in the country, the suburbs, or in the midst of a major city, barn style architecture conveys a rustic charm that captivates the imagination. Barn style homes enjoy widespread popularity, and we incorporate these elements into custom home styles that meet your individual needs. Looking forward to beginning construction on your own barn style home? Click the link below to get started on your custom home design. When someone says ‘timber framing’, you might immediately envision a big barn. 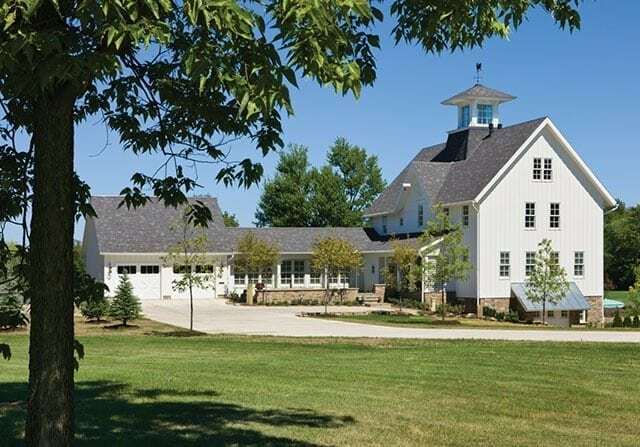 Barn style homes are popular for their big open areas and classic farmhouse architectural style. If your idea of the perfect timber home is one that incorporates the unique traits of traditional barn architecture, we would love to help you make that dream a reality. Rustic and charming, a barn style timber frame home can give your home the look and feel of a stunning country house while providing the craftsmanship and elegance of construction. Incorporating timeless timbers and the best of modern energy efficient materials, today’s barn homes make the perfect place to gather with friends and family or retreat at the end of a long day. When it comes to barn style homes, there are certain features that help to make this design stand out. These include traditional barn gambrel roofs and wrap-around porches. Once inside, the large, open spaces are often flooded with light from clerestory windows. Learn how some of Riverbend’s past clients reimagined the barn style to create their custom timber frame home of their dreams. If you are looking to create a barn style home to enjoy for years to come, our design team can help guide you through our home design concepts. Reach out and call or contact your client representative online today to see how Riverbend Timber Framing can help turn your dream home into a reality. Whether you’re looking for more information or would simply like to learn more about us and our services, don’t hesitate to contact us. Please follow the link below to access our online form or call us at 888.486.2363 in the US or 888.999.4744 in Canada. We look forward to hearing from you. Copyright 2019 Riverbend Timber Framing.